Buddhist studies, especially Chinese practices from medieval times to the present; religion and visual culture in China. Raoul Birnbaum works in the interdisciplinary field of Buddhist studies, with special focus on China. With particular interest in historical approaches, he is trained in visual studies, history of religions, and ethnography. His research has concentrated on three great themes in the history of Chinese Buddhist life: the major deity cults, visions of the landscape intertwined with religion, and close examination of dimensions of the lives of individuals within this religious field. While focused earlier on medieval times in China, in recent decades he has concentrated mainly on significant figures of the late 19th and early 20th centuries, and the backdrop of 17th century figures and phenomena that often served as models and sources for their practical and conceptual foundations. The largest on-going project, long in progress, focuses on an artist-monk of the twentieth century, Hongyi 弘一大師 (1880-1942), a remarkably complex and influential figure in Chinese Buddhist worlds. A project on one of his contemporaries, the prominent lay Buddhist Gao Henian 高鶴年 (1872–1962), is on the horizon. And in a comparative vein as a parallel project to the Hongyi studies, there is on-going investigation of the many worlds of St. Francis, with field research in that medieval saint's Umbrian homeland, while in residence at the University of Perugia in autumn 2018. 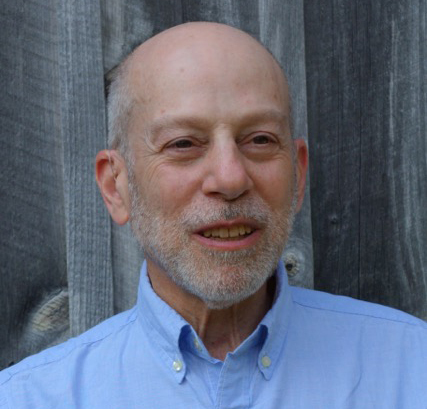 In addition to continuing study of Chinese Buddhist texts and visual materials, Birnbaum's work has been strongly influenced by intensive field study over several decades within Chinese Buddhist monastic communities and across a wide variety of the mountain sites that form the backbone of this tradition’s conceptual geography. "Challenges for a Twentieth-Century Monk-Artist in Buddhist China: Hongyi and his Engagements with Vinaya," for Vinaya Revival in 20th-Century China and Taiwan, project directed by Ester Bianchi and Daniela Campo, in preparation. "Chinese Buddhist Practice," in Oxford Handbook of Buddhist Practice, ed. Paula Arai and Kevin Trainor (New York: Oxford University Press, forthcoming). Long-term book project in active preparation: a biographical study of the extraordinary twentieth-century Buddhist monk and cultural figure, Hongyi Dashi (1880-1942). The Healing Buddha (Boulder: Shambhala, 1979; London: Rider, 1980; Boston: Shambhala, revised edition, 1989 [additional chapter and preface]. Il Buddha della Guarigione: Il Guaritore Divino nel Buddhismo, tr. Patrizia Nicoli (Rome: Ubaldini, 1981). Der Heilende Buddha, tr. Rosemarie Fuchs (Bern, Munich, Vienna: Otto Wilhelm Barth, 1982). Studies on the Mysteries of Mañjusri: A Group of East Asian Mandalas and their Traditional Symbolism (Boulder: Society for the Study of Chinese Religions, 1983). Face to Face: subterranean appearances and the interior world of Chris Russell (Brooklyn: Center for Strategic Art and Agriculture, 2013). “Highland Inscriptions in Buddhist China,” T’oung Pao 103.1-3 (2017), 261-278. "Two Turns in the Life of Master Hongyi, a Buddhist Monk in Twentieth-Century China," in The Making of Saints in Modern China, ed. David Ownby, Vincent Goossaert, and Ji Zhe (New York: Oxford University Press, 2017), 161-208. "When is a 'Chinese Landscape Painting' also a 'Chinese Buddhist Painting'? : Approaches to the Works of Kuncan (1612-1673) and Other Enigmas," in 17th-Century Chinese Paintings from the Tsao Family Collection, ed. Stephen Little (Los Angeles: Los Angeles County Museum of Art, 2016), 94-129. Volume received the 38th annual George Wittenborn Memorial Book Award from the Art Libraries Society of North America (ARLIS/NA). "Human Traces and the Experience of Powerful Places: A Note on Memory, History, and Practice in Buddhist China," in Images, Relics, and Legends: The Formation and Transformation of Buddhist Sacred Sites, ed. James A. Benn, Jinhua Chen, and James Robson (Toronto: Mosaic Press, 2012), 113-138. "In Search of an Authentic Engaged Buddhism," Religion East & West 9 (2009), 25-39. French translation in Voies de l'Orient 122 (Winter, 2012), 20-36. "The Deathbed Image of Master Hongyi," in The Buddhist Dead: Practices, Discourses, Representations, ed. Jacqueline Stone and Bryan Cuevas (Honolulu: University of Hawai'i Press, 2007), 175-207. "Light in the Wutai Mountains," in The Presence of Light: Divine Radiance and Religious Experience, ed. Matthew T. Kapstein (Chicago: University of Chicago Press, 2004), 195-226. "Buddhist China at the Century’s Turn," The China Quarterly, no. 174 (June, 2003), pp. 428-50. Reprinted in Daniel Overmyer, ed., Religion in China Today (Cambridge: Cambridge University Press, 2003), 122-44. "Master Hongyi Looks Back: A 'Modern Man' Becomes a Monk in Twentieth-Century China," in Buddhism in the Modern World: Adaptations of an Ancient Tradition, ed. Steven Heine and Charles S. Prebish (New York: Oxford University Press, 2003), 75-124. “African Buddhists? Some Issues in Buddhist Transmission Across Cultures,” in Buddhism and Africa, ed. Michel Clasquin and J. S. Kruger (Pretoria: University of South Africa Press, 1999), 93-108. “Secret Halls of the Mountain Lords: The Caves of Mount Wutai,” Cahiers d'Extrême-Asie 5 (1989-1990) [Etudes taoïstes en l'honneur de Max Kaltenmark], 115-40. “Chinese Buddhist Traditions of Healing and the Life Cycle,” in Healing and Restoring: Medicine and Health in the World's Religious Traditions, ed. Lawrence E. Sullivan (New York: Macmillan, 1989), 33-58. “The Manifestation of a Monastery: Shenying's Experiences on Mount Wutai in Tang Context,” Journal of the American Oriental Society 106.1 (1986) [Sinological Studies in Honor of Edward H. Schafer, ed. Paul W. Kroll], 119-37. “Seeking Longevity in Chinese Buddhism: Long Life Deities and their Symbolism,” in Myth and Symbol in Chinese Tradition, ed. Norman J. Girardot and John S. Major, published as a double issue of Journal of Chinese Religions 13-14 (1985-1986), 143-176. “Notes on the Provenance and Meaning of a Central Asian Narrative Manuscript,” in Along the Ancient Silk Routes: Central Asian Art from the West Berlin State Museums, ed. Herbert Härtel and Marianne Yaldiz (New York: The Metropolitan Museum of Art, 1982), 214-15. “Buddhist Meditation Teachings and the Birth of 'Pure' Landscape Painting in China,” Bulletin of the Society for the Study of Chinese Religions 9 (1981), 42-58. Visiting Researcher, Dept. of Philosophy, Universita degli Studi di Perugia, Fall 2018.